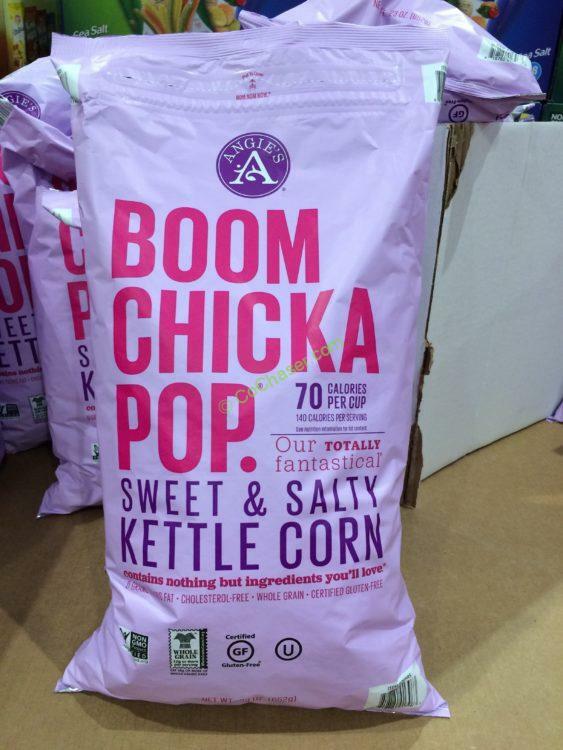 Angie’s Boom Chicka Pop Sweet & Salty Kettle Corn is always simple, always real and free of gluten and preservatives. It is both delicious and carefree. Throw it in a lunchbox, backpack for a tasty treat anytime. The Angie’s Kettle Corn is wonderful to serve up for the whole family. It is the ultimate happy food and is ideal for any party appetizer, late night snack and movie night. Per serving size (2 cups about 28g) contains 140 calories, 35 from fat . For each serving, you get 8g total fat including 0.5 Saturated fat, 1g of protein, 2g of fiber and 8g sugars.